LOHUIS LIGHTING & ENERGY Naaldwijk (ZH) now has its own lead generation with an office in New Vennep. From there from specially wanted compound files to potential customers that arrangements be made for a visit by one of our advisors. To quickly see new customers, we now want to expand our team of advisors. Advisors after a short training able to identify the benefits of LED lighting and calculate what is saved by the new lighting energy costs. Within LOHUIS ” pay as you save ” Formula customers can pay the purchase at the pace that they actually save energy. Applicants should have good communication skills and have already proven to be good sellers. They have a car driving license. Often the correct older (55+) Advisers successful in persuading customers. Although this is a tool for self (ZZP) is paid a fee by appointment and a large bonus. LOHUIS is starting 1970 active in the verlichtngsbranche and, in particular, in light sources,. In the last 10 year the demand for LED lighting has increased enormously and other sources still sold very little. 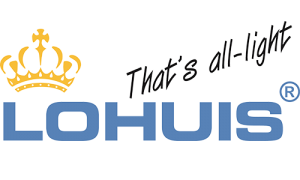 LOHUIS take this market a prominent place mainly characterized by knowledge and experience.